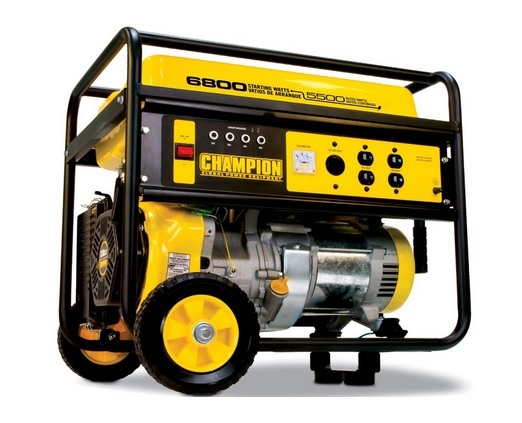 A portable generator is handy as you can easily maneuver it around as needed from one place to another. They are great for power outages as well as providing power where there is no electricity. They can help power up tools or an air conditioning unit, depending on what your needs are. To find the best portable generator for house use consider some of these choices. 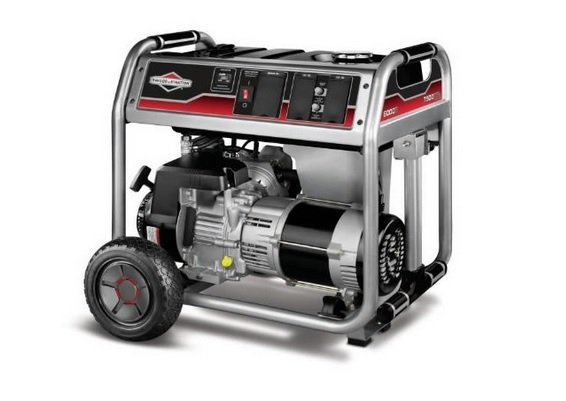 This Briggs and Stratton 30469 Gas Powered Portable Generator comes with a wheel kit that allows for easier mobility. It runs for up to 12 hours on half load and it has a fuel tank capacity of 7 gallons. There is an hour meter that helps you maintain the unit as well as avoid overloads. It runs on 7,500 watts surge and 6,000 watts continuous. There are rubber outlet covers that come with this item as it provides several types of outlets including one 120/240 volts, 30A locking type outlet, and four 120 volt household outlets. It is non carb compliant and is not sold in the state of California. It has a durable T shaped handle and it comes with a powerful 1650 series OHV engine. 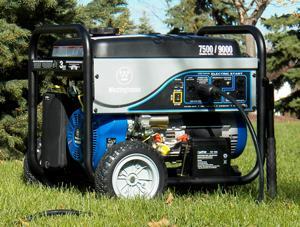 It has 10 inch flat free tires and it costs about $800 online, making this one of the best portable generator for house. This Champion Power Equipment 41135 Gas Powered Portable Generator has a strong Champion 338cc OHV engine with a cast iron sleeve to help protect it from damage. The unit weighs about 185 pounds and it can run up to 11 hours on half load. It is carb compliant and is sold in all 50 states.It has a low oil sensor and an overload protection. It has a durable frame with a portable kit. There is a two year limited warranty and an easy pull recoil start. It has a volt meter that allows you to determine when maintenance is needed. This item costs about $700 online and it has 8 inch wheels. It runs on 6,800 watts and it has a 338cc four stroke engine. It earned 4.5 stars from Amazon reviewers, making this one of the best portable generator for the home. 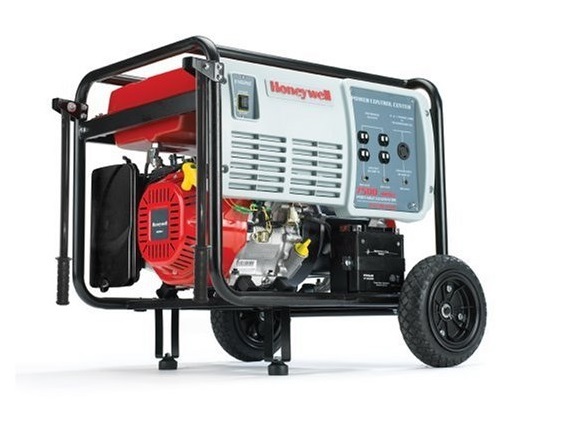 This Honeywell HW7500E Portable Gas Powered Home Generator has an electric start and it can run up to 7 hours at 50 percent load. It earned 4 stars from more than 45 Amazon reviewers and it comes with a 4 stroke 15 hp 420cc OHV engine. It runs on 7,500 watts continuous and 9,375 watts maximum. There are color coded starting controls as well as never go flat tires and a handle kit. You get a hassle free battery along with various outlets including ac outlets, four 15/20 amp, 120 volts and one L14-30 amp outlet. This generator weighs about 115 pounds and it comes with a three year warranty. It is non carb compliant and is not sold in the state of California. Its oversized muffler keeps the generator quiet and the engine has a cast iron sleeve that helps protect it. There is some assembly required with the wheels and handle. 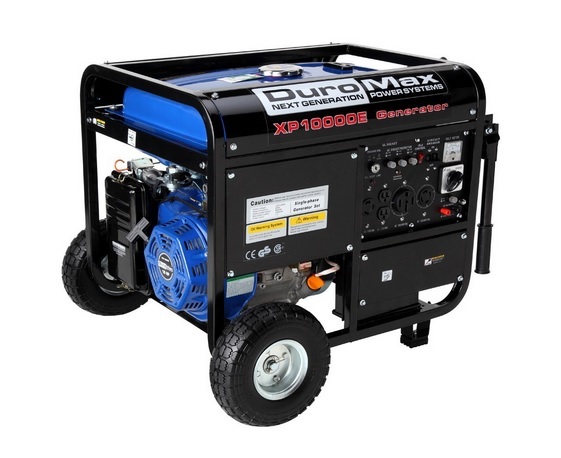 This DuroMax XP10000E Gas Powered Portable Generator comes with a wheel kit for easy portability and an electric start for an easy start up. It comes with a 16 hp OHV 4 cycle engine. It is EPA approved and has an automatic low oil shut off. It has an electric key start up and it comes with an 8.3 gallon capacity. It runs on 8,000 watts continuous and 10,000 watts surge. It has a heavy duty steel frame and can run up to 10 hours on half load, making this one of the best portable generator for house use. It is non carb compliant and is not sold in the state of California. It comes with several accessories including a 33 amp circuit breaker, 120 receptacles, 30 amp twist lock, and 50 amp heavy duty outlet. It comes with a one year limited warranty at time of purchase. It has 10.5 inch never go flat tires and a recoil start up. It has a flip up handle for easy storage. It costs just under $1000 online and it received 4 stars from more than 115 Amazon reviewers. 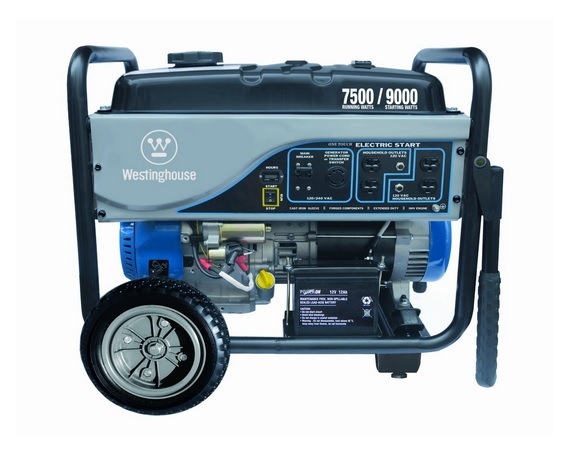 This Westinghouse WH7500E Portable Generator comes with a three year limited warranty. It runs on 9000 watts surge and 7500 watts continuous. It comes with a wheel kit for easy portability, tool kit, funnel, oil, and a handle kit that allows you place the handle onto the generator. It has a 6.6 fuel tank and a quiet operation. There is an electrical and manual start up process and it has a simplified control center. Its LCD hour meter allows you to see when the generator is due for maintenance in the dark. It is non carb compliant and is not sold in the state of California. It comes with several outlets including one 120/240 volt twist outlets and 4 120 volt outlets. It has a full enclosure that helps protect the electrical connections and a cast iron fan guard that ensure safe operation. It comes with a three year limited warranty and costs about $850 online. It earned 4.5 stars from 50 Amazon reviewers, making this one of the best portable generators for houses, on the market. These are all great choices when you are looking for a portable generator to use in your home. They all offer multiple features and can power up a house full of electricity.